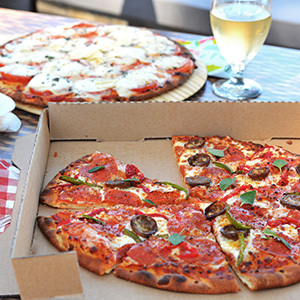 Have you tried our spectacular pizza? There is nothing better than snacking on the beach at Lake Tahoe, especially when someone else makes it! 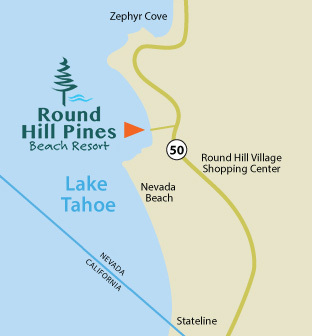 Food and beverages are available at Round Hill Pines Beach Resort. 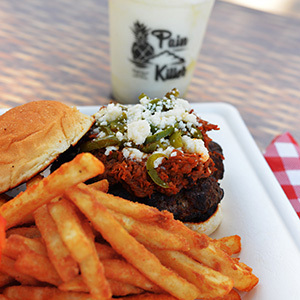 Our Beach Grill offers a variety of hand-crafted specialty menu items to enjoy for lunch or dinner. Relax in the sun, we will deliver your food to you on the beach. Pretty cool huh? 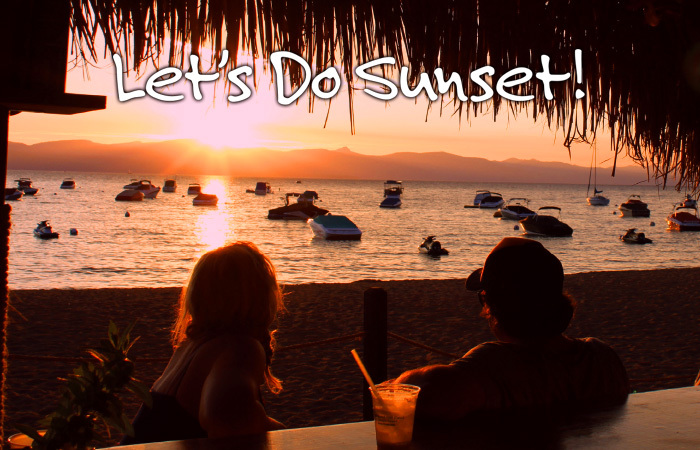 Our Rum Bar is the only 'Alpine Caribbean Style' bar on the beach in Lake Tahoe. Dig your toes into the sand, enjoy a frosty cold Pain Killer, get a tan and soak in the beautiful sights. Sunsets are a must at the Rum Bar. Try the Pain Killer, Round Hill Pines' original frozen Alpine-Caribbean drink. 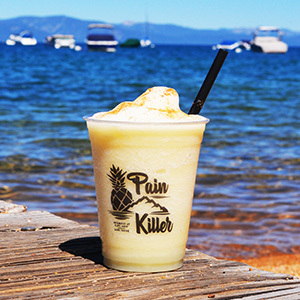 Pineapple, coconut, a variety of rums, a few secret ingredients, and a topping of fresh nutmeg make this Tahoe’s best beach drink. Don’t miss the Snack Shack. Try all kinds of tasty treats, like our NEW vanilla and pineapple soft serve ice cream, pretzels, tortilla chips with cheese and hot dogs. Plus, grab a beach toy for the day. You’ll find volleyballs, snorkels, and more! Or get your hands on some signature souvenirs to remember your Tahoe day, or apparel to cover-up at sunset.